*NOTE: This originally appeared on March 29, 2010 on a different blog, but I shall put it here as well just for historical reference… and because these images are still pretty funny :). So, I’ve made a few things in my time here at school, and all have them have ranged from being decent to excellent, except this one recipe. Taken from userealbutter, the recipe is not one for an amateur cook/baker. Little did Melanie and I know…. The process is pretty simple, which is why we didn’t realize how finicky it could be. 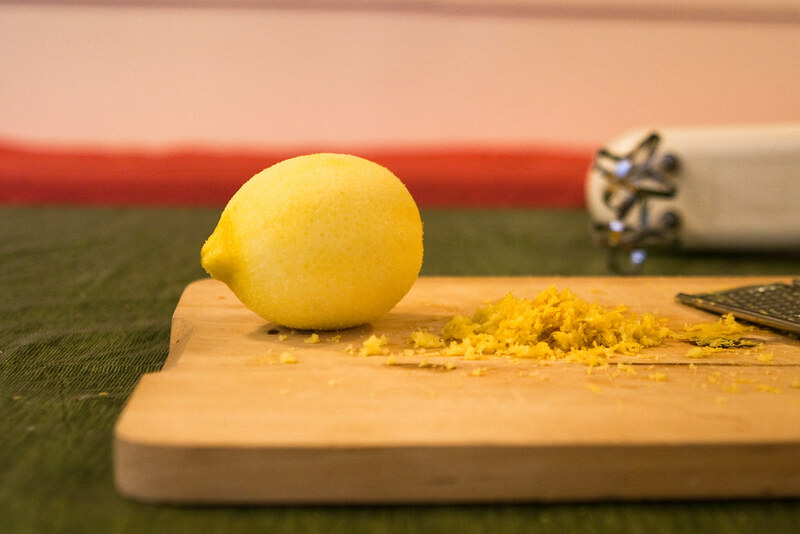 Making lemon curd involves just using lemon juice, lemon zest, egg yolk, sugar, and a saucepan. That part wasn’t bad. I made the lemon curd ahead of time (quite amazing, if I do say so myself… so full of flavor). The part that got us was the macarons. Starting with a not so excellent food processor, we managed to process the almonds into relatively small bits (not fine enough, as we later found out, but they were decently small). 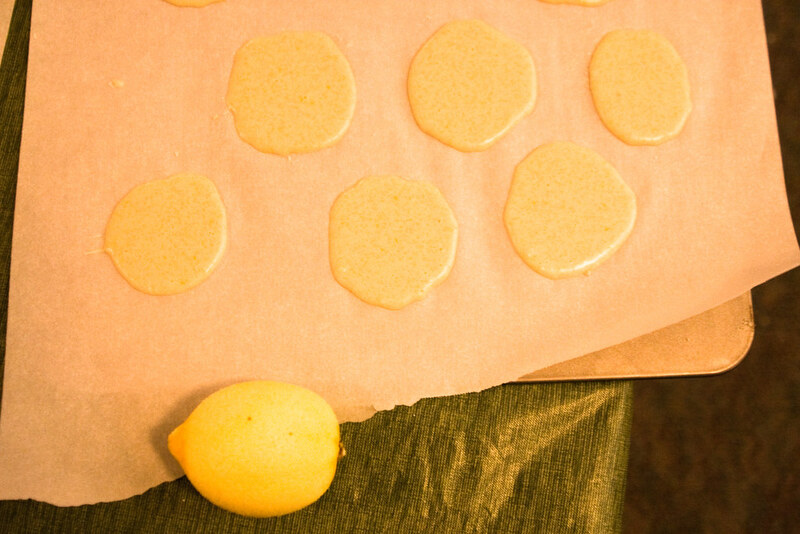 We then zested another lemon to add to the confection, preparing for mixing. Well, that went over fine. 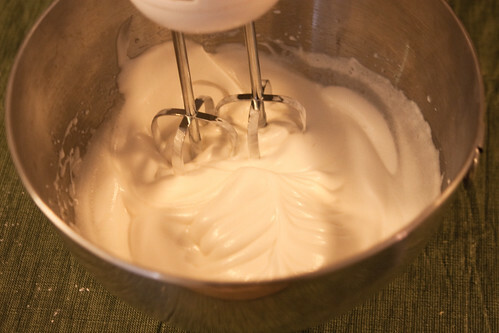 Then there was the egg white mixing with sugar… typical of a meringue type thing. look at the whipping go! Anyway, after that, we had our circles of mixture. There was SO MUCH SUGAR in that mixture. I mean… four cups of sugar is a LOT of sugar. 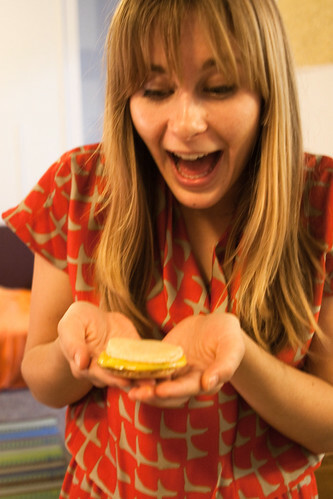 mel with the one almost perfect macaron! We tried to hide them from everyone, so we began eating them… and let me tell you, two cups of sugar each is NOT the way to go at midnight. I was up for ages! Anyway… one of our failed experiments, but we’re on the road to getting better all the time!